We believe that every patient deserves the highest quality care and optimal treatment results. This requires an uncompromising commitment to thoroughly evaluating each individual situation and developing a personalized treatment plan to meet each patient's unique needs and desires. When you trust us to help you achieve the level of oral health you desire, you will have our undivided time and attention during the consultation, diagnosis and treatment planning process — and throughout the entire treatment sequence. We want you to feel well informed when you make decisions about your health and comfortable when you visit our office. • A review of your dental and medical history. 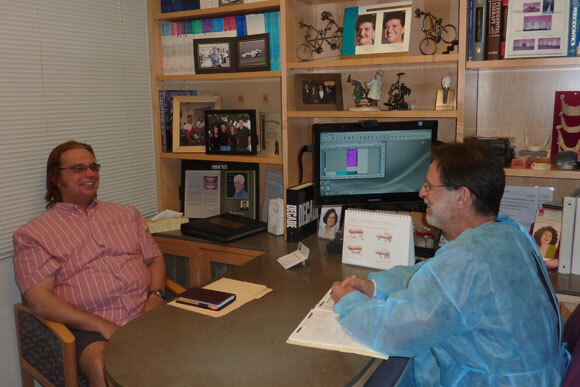 Dr. Davis works in close collaboration with your dentist to develop the ideal treatment plan for your unique needs. Following your consultation, a detailed written report and a copy of the x-rays will be sent to your dentist, and a treatment planning discussion will be scheduled.